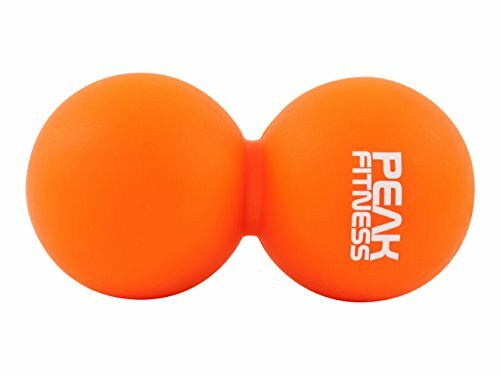 Home » Products » Great Value Double Lacrosse Peanut Ball Massager. For Sports Injuries, Spine and Muscle Strains. In Black or Orange. Myofascial Tension Release Mobility Therapy Set by Peak Fitness. Lifetime Guarantee. Great Value Double Lacrosse Peanut Ball Massager. For Sports Injuries, Spine and Muscle Strains. In Black or Orange. Myofascial Tension Release Mobility Therapy Set by Peak Fitness. Lifetime Guarantee. 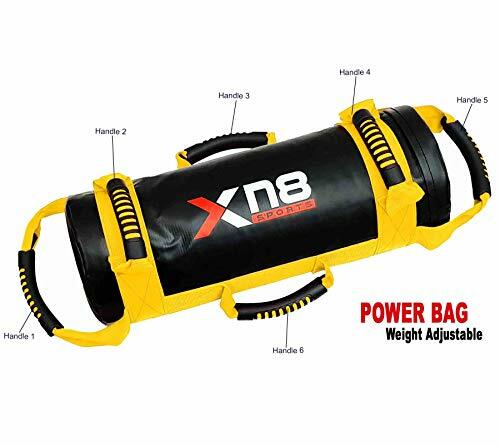 Home > crossfit equipment > Great Value Double Lacrosse Peanut Ball Massager. For Sports Injuries, Spine and Muscle Strains. In Black or Orange. 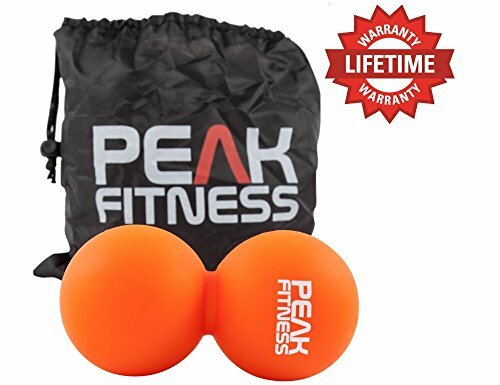 Myofascial Tension Release Mobility Therapy Set by Peak Fitness. Lifetime Guarantee. ✔ TREAT SORE MUSCLES. 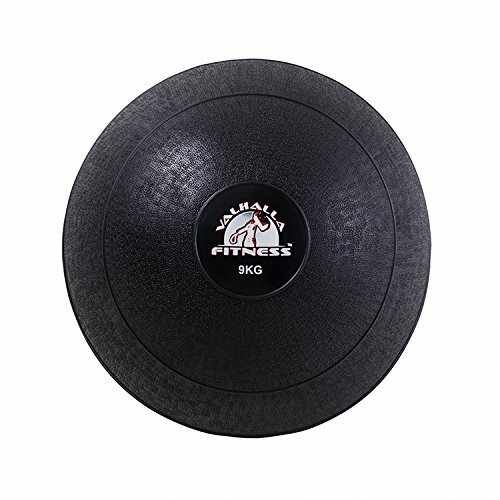 Suitable for relieving back pain and strains to lumbar, neck, shoulders or glutes. The massage ball uses trigger point therapy and is suitable for men and women. Place the balls between you and the ground. Lie on your back with the balls under your spine. Place just above the lower back. ✔ HIGH DENSITY, DURABLE AND EASY-CLEAN. The ergonomic physiotherapy massager is firm and dense. Its smooth design has a good grip. The peanut ball comes in black or orange. 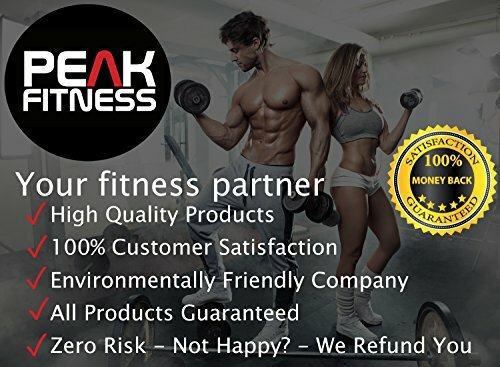 As with all our Peak Fitness gym equipment, the massage tool is designed to last! ✔ RECOVER FROM SPORTS INJURIES FAST. Speed up muscle injury recovery. Use the double lacrosse ball to loosen up tight muscles and increase circulation. The Myofascial Release provides a deep tissue massage. The ball can help with variety of muscle strains and help improve mobility. Help recover from a range of injuries that you might experience from cross fit, weight lifting, bodybuilding, MMA, Yoga and more. 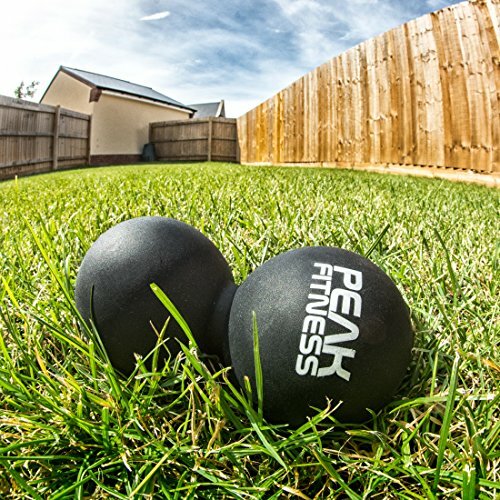 The Peak Fitness Peanut Massage Ball for Mobility has been designed to improve flexibility in your back and spine, releasing muscle tension to allow you to attain better performance in your chosen sport. It comes in a choice of colours – Orange or Black. 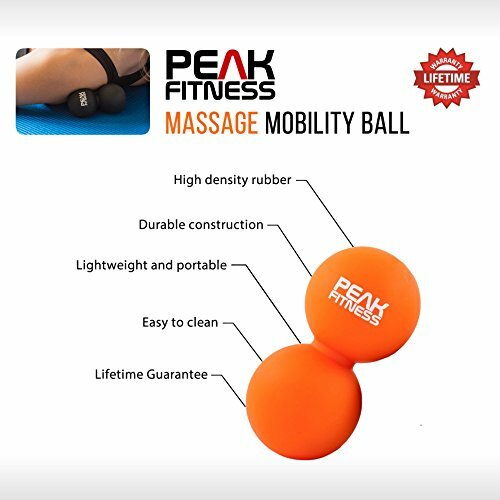 If you are suffering from pain, recurring injury, reduced performance or struggle with your mobility why not give our massage mobility ball a try? It comes highly recommended for trigger point therapy and deep tissue massage reaching points and muscles where foam rollers may miss. 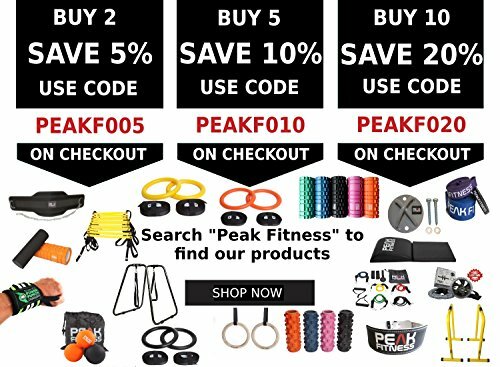 Why not consider one for your friend or training buddy? 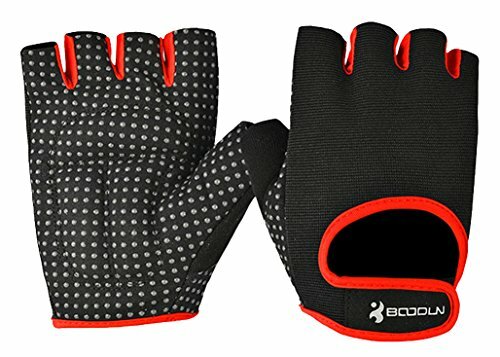 It makes for a great gift and is an essential tool for any athlete from beginner to advanced. ✔ HANDY TRAVEL BAG. Great for travel. You can take this kit with you to the gym, on business trips or on holidays. Lightweight, the peanut massage ball is portable. ✔ LIFETIME GUARANTEE. If you are not completely satisfied with your order for any reason, let us know. We’ll refund you in full, no questions asked.